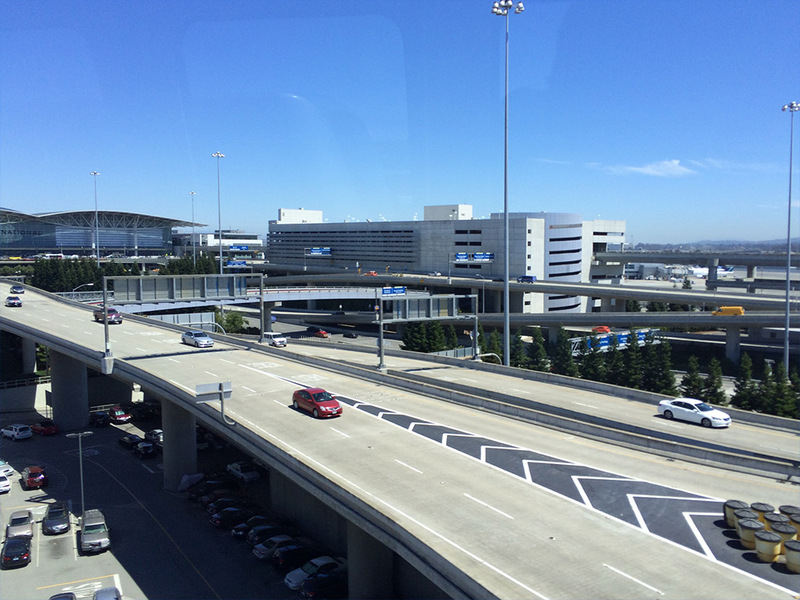 Our plan to get into the city from SFO was to use the BART train, so that meant taking the Inter-terminal AirTrain from terminal 2 over to the other one so that we could make the connection. All in all, it was a pretty smooth process – the signs were well marked and we didn’t have any issues finding our way and purchasing our tickets from a kiosk. I will say, however, that I was glad that I did some research prior to this trip as to what train to get on that would take us to our destination in Union Square. Without that bit of knowledge, it would have been much more difficult to figure out in the station. 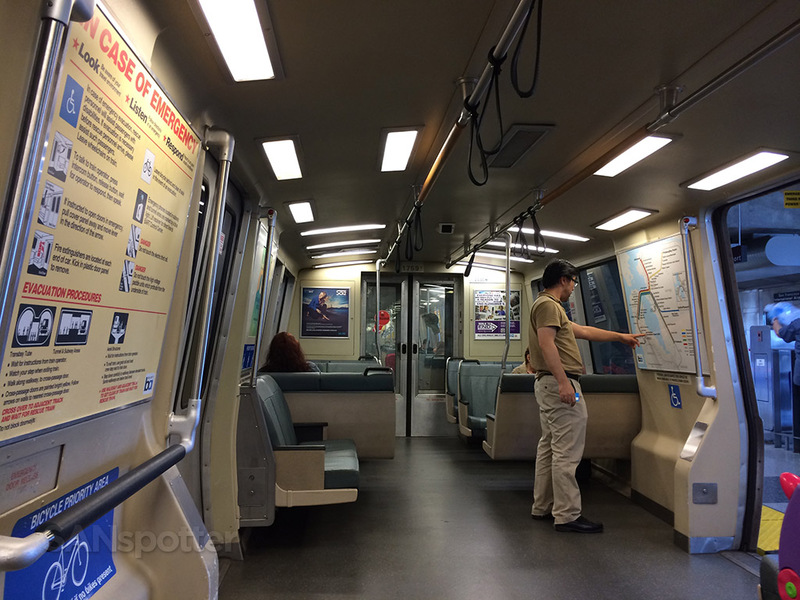 I found the BART train to be a bit dirty and quite loud, but otherwise very convenient. 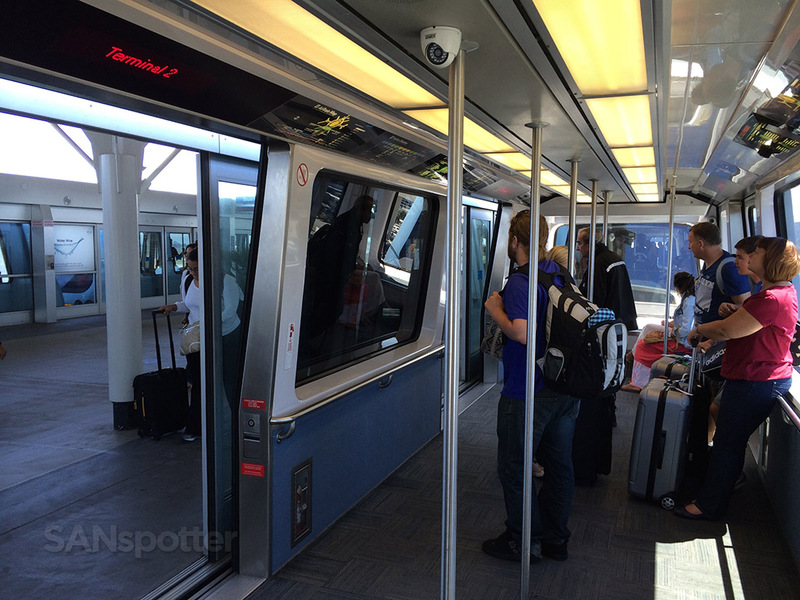 It took about 30 minutes to get to the Powell Street (Union Square) station from SFO, and we were pleasantly surprised at how convenient of a location that station is. It literally right in the middle of everything, and once we got our bearings, it ended up being a fairly short walk to our hotel (Westin St Francis on Union Square). It was during that walk that we realized how unprepared we were in terms of packing appropriately for the weather conditions. It was windy and very cool, and we immediately knew that we’d both have to buy something warm to wear if we were to have any fun on this trip. So yeah – everything you’ve heard about how cold it is in San Francisco during the summer time is true. 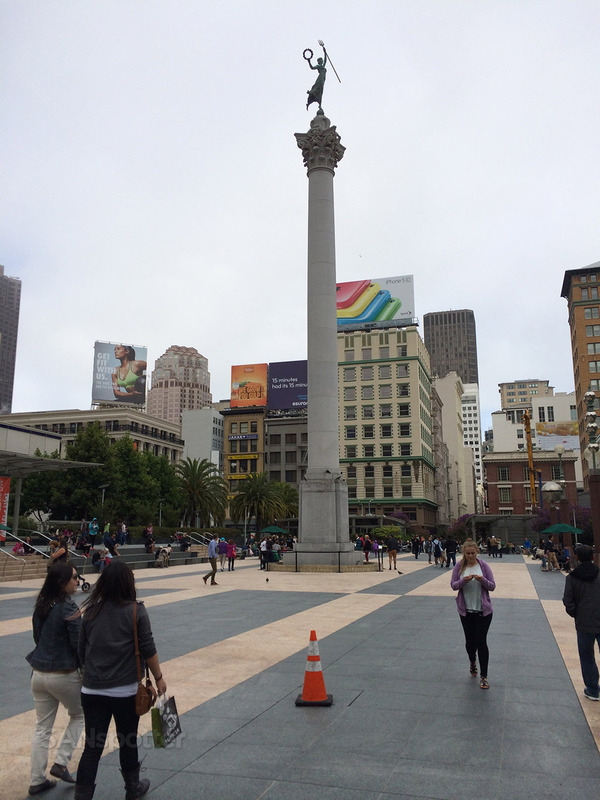 Once checked into our hotel, we set off to explore the surrounding area around Union Square. The first stop was to find warm clothing at the Westfield San Francisco Centre on Market St (just across from the Powell Street train station). 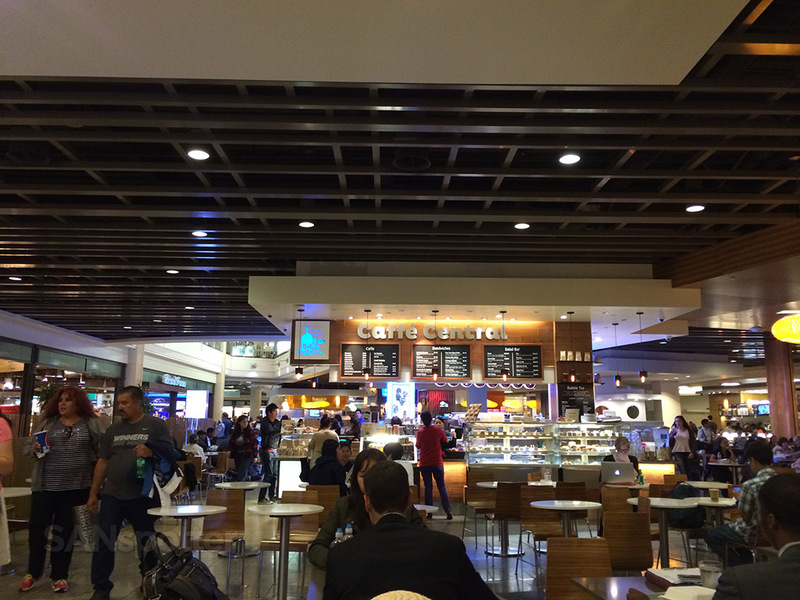 We both picked up a light jacket from JCrew, then found ourselves exploring the extensive food court on the bottom level. It was getting to be about dinner time, and one of the things my wife and I like to do when we travel is to buy a bunch of little food items from various places and then take it all back to our hotel room for a big feast. All in all, we spent the next several hours in that shopping center and out on Powell street scouting out good things to eat. 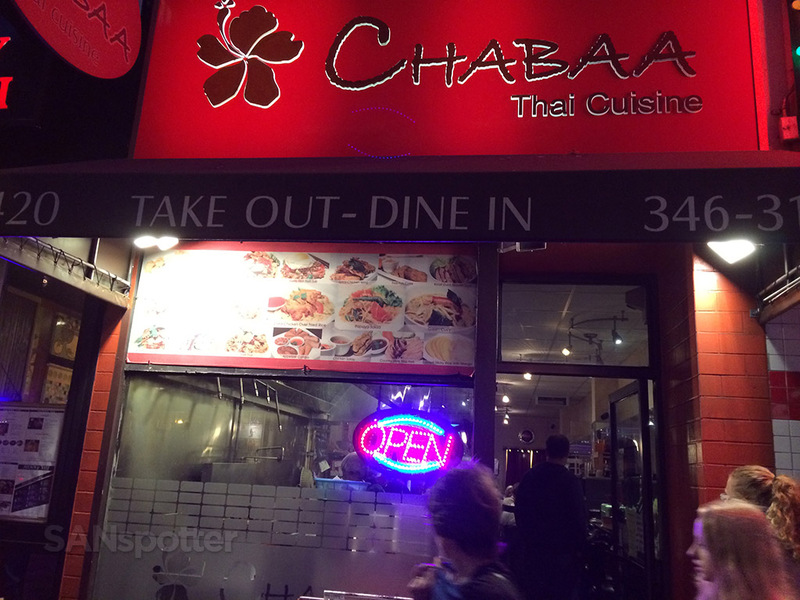 I was feeling like Thai food, and a quick search on Yelp revealed a pretty good place called Chabaa Thai Cusine near our hotel that seemed like a sure bet. We went to have a look, and yep – it looked fantastic. So with our plans set, we stopped by the hotel one last time to drop off a few things before heading out again to buy some food. 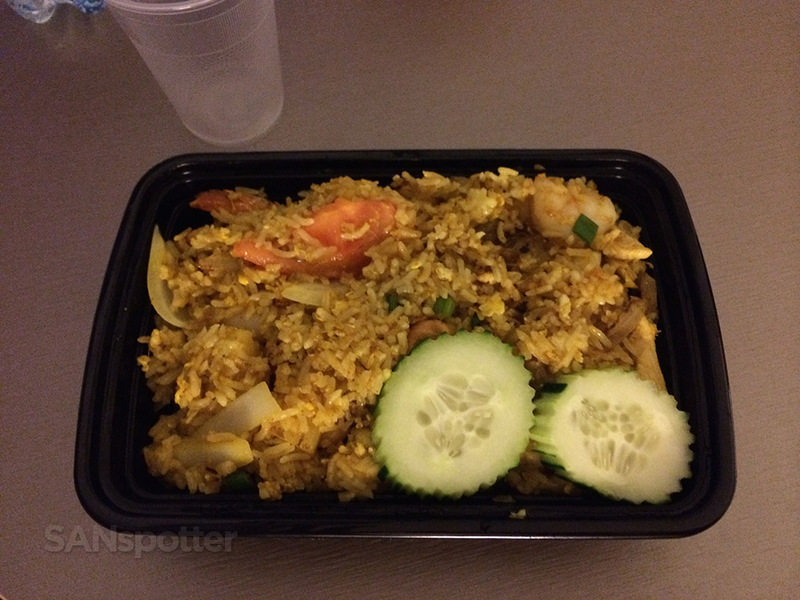 We eventually made it back to the hotel by 9:30pm, then feasted on really great Thai take out. I was completely comatos after that and fell asleep just after 10pm, while my wife stayed awake for couple more hours reading and enjoying some sweets she purchased earlier in the evening. I knew that my wife stayed up at least a couple hours later than me the night before, and she’s normally one to sleep in pretty late, so I rolled out of bed and took a shower knowing that I needed to keep things quiet for the next two hours at least. No problem – I just killed the time working in this trip report while munching on some fresh fruit that we bought the night before. 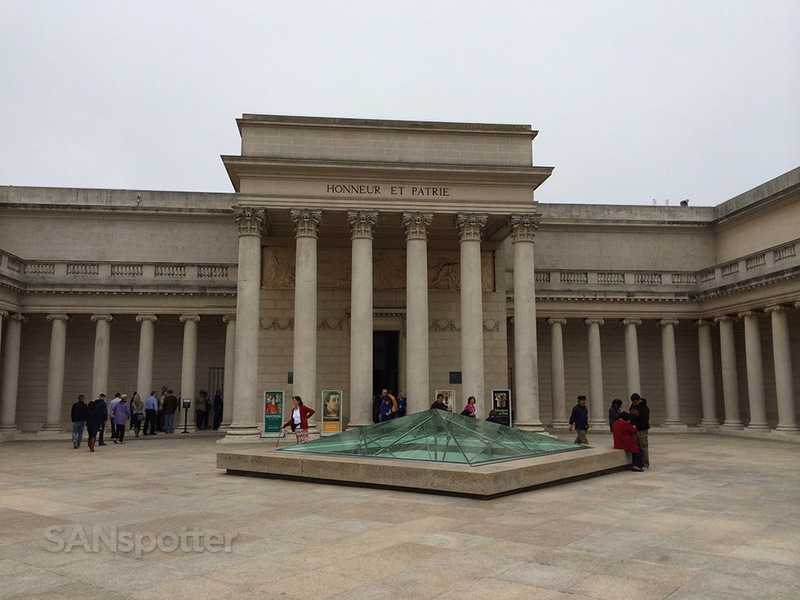 It wasn’t until 12 noon that we set foot out the door, but no worries – the only plan we had for the day was to visit the Legion of Honor museum on the other side of the city, so we grabbed a taxi right outside our hotel and headed that way. It took about 25 minutes to get there, and once we arrived we knew it was a good choice – the place was downright beautiful. We spent the next 2 and a half hours inside the museum just taking our time and looking at the exhibits. It’s been a long time since we’ve been to an art museum, so it was definitely fun to walk around and soak it all in. 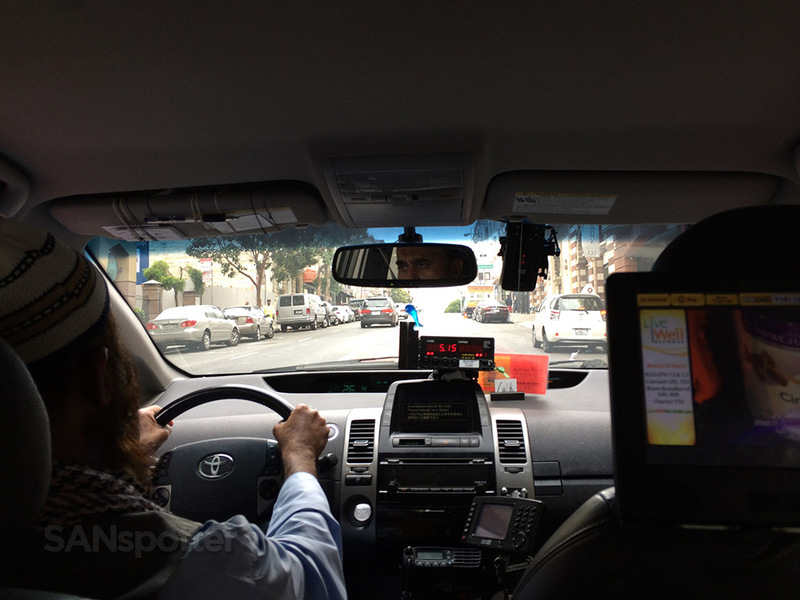 We called for a taxi once we had seen everything, and headed directly back to our hotel to relax for a bit before heading out again in search of a collection of things for dinner. The view of the city from our hotel room window was nothing short of spectacular (see the pic at the top of this post), so it was no surprise that we took our time before going back out. Another thing that made it easy to sit and relax for a while was the fact that it was so darn cold and windy outside – certainly colder than any other August I’ve experienced any where else in this world. Once we mustered up the courage to face the cold, we wandered around the Union Square area and Powell St once again visiting some of the pastry and dessert shops that my wife discovered the day before. 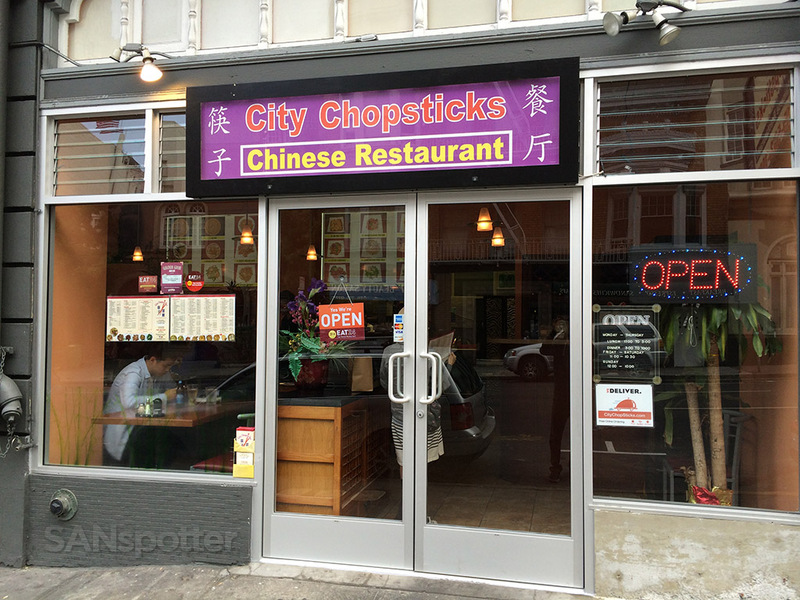 She bought a handful of items to take home with us so she could enjoy later, and once finished we set off in search of a Chinese food place called City Chopsticks in Chinatown that seemed to have good reviews on Yelp. It was a long and cold walk though streets that always seemed to point uphill, but it was fun to explore the area a bit. 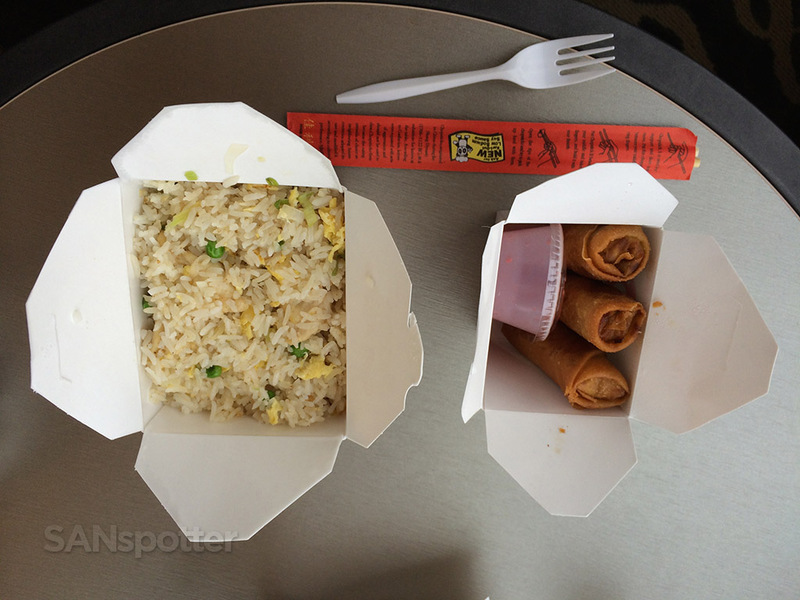 Back in the hotel room, we dug into our Chinese take out. It was pretty good – and certainly worth the walk. We spent the next two hours picking at our food and just enjoying the spectacular views of the city of San Francisco below us. I’m confident when I say that the view from our hotel room would rival anything you would see at most other restaurants around the city. 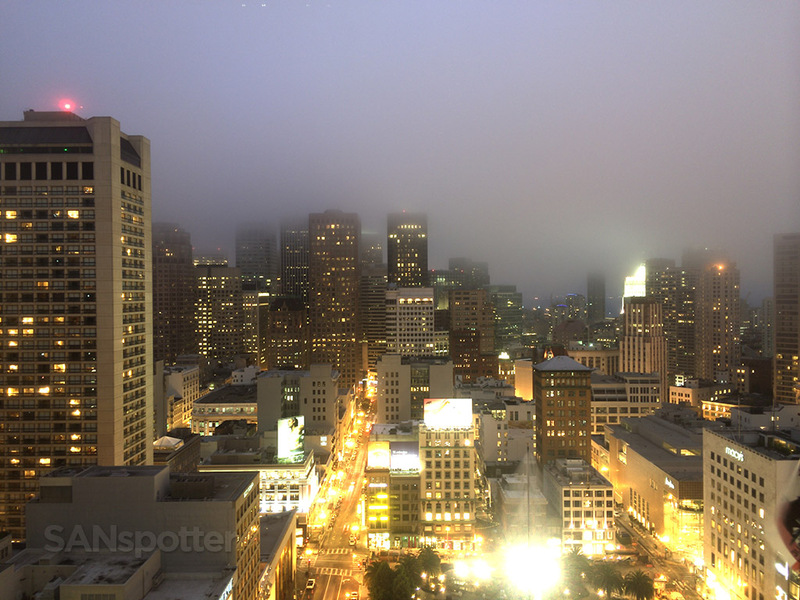 The spectacular view of San Francisco from our hotel room window. Dinner with a view! And that pretty much wrapped up our short trip to the Bay Area. The next morning we had to be up bright and early for our 10am Virgin America flight back home to SAN. Hello, I live in Marin, about 30 minutes. North of San Francisco. 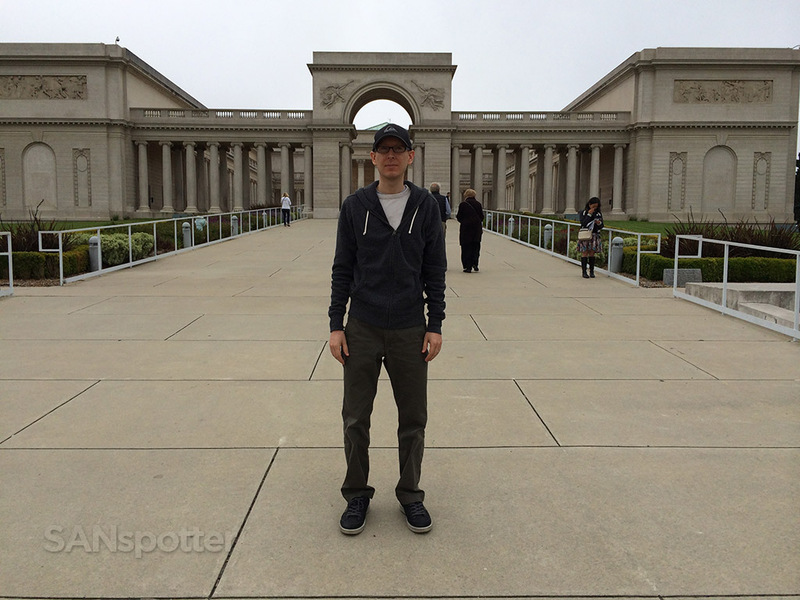 I am a member of The Legion of Honor Museum and absolutely adore it. So glad you enjoyed it and the city as well. Thanks James! Yes, it is an amazing city and we had a really good time. As a matter of fact I was just up there again about a month ago (quick business trip) and it was a great reminder of how much I like the Bay Area.